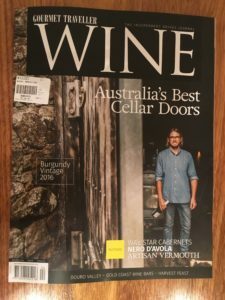 Congratulations to Tony, Frances and Amanda – Sanguine’s cellar door team for achieving STAR status in the latest Gourmet Traveller Wine Magazine. Thanks Dad for taking the lions share of managing the cellar door. Well deserved!